It was so nice to have a long weekend to be with family. As I start writing this post, it’s a rainy Tuesday morning. Jane is sleeping off the weekend, Eric is out for a run (though I just saw a crack of lightening, so I hope he’s on his way back! ), and I’m trying to decide how to motivate myself to get our week going. I’ll have a long day at work today, an evening program tonight. Back to it. We had a lovely weekend at Mama and Papa V’s lake house, exploring it in a whole new way with a toddler. 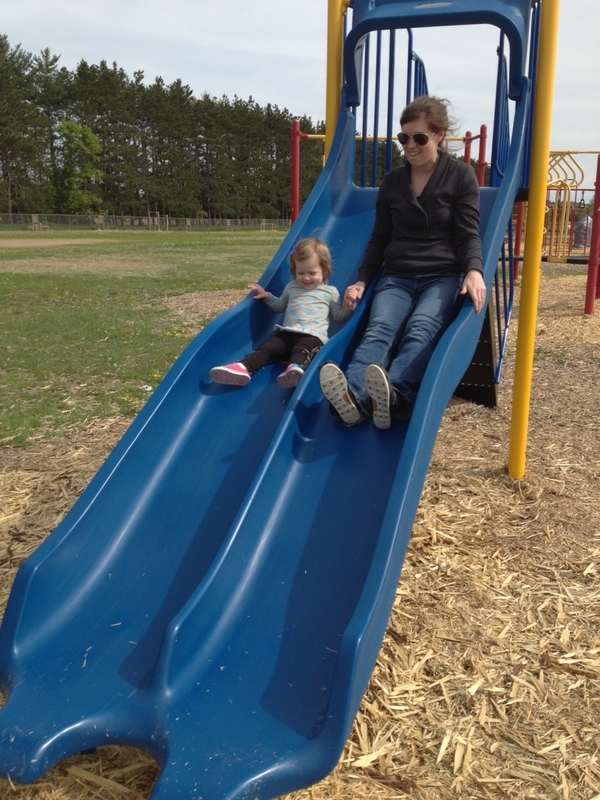 We explored the local parks and made plans for the rest of the summer. We were lucky with nice, if cool, weather for the weekend. It’s funny how it’s not even June, but I already see summer slipping away. I have so many hopes and dreams for projects, and the calendar already looks so full! I’m looking forward to re-introducing Jane to pools and lakes, to having our CSA back, to dinner on the patio with long walks afterward, to extra time with family and friends.